Colorado Medical Cannabis user Charlotte Figi. Charlotte’s life has been saved via the Wonder drug…. 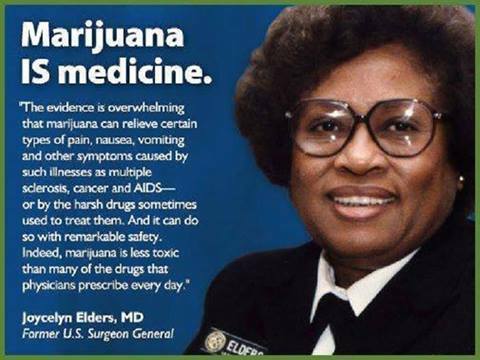 medical cannabis. She used to suffer Hundreds of Seizures every day. CHILDREN ARE DYING BECAUSE OF EVIL LAWS PROHIBITING CANNABIS! I implore parents with children who suffer Fits and seizures to *Get Cannabis* for your sick children! Dont worry about the fact that ‘your local supply’ is most likely to be the ‘THC’ variety…. *It wont Harm* your kids! It will Save their Lives!! Wikipedia…. Charlotte’s Web is a strain of medical marijuana processed into a marijuana extract that is high in cannabidiol (CBD) content, called Realm Oil and Alepsia. It does not induce the psychoactive “high” typically associated with recreational marijuana use. Charlotte’s Web is named after Charlotte Figi, whose parents and physicians say she experienced a reduction of her epileptic seizures after her first dose of medical marijuana at five years of age, and whose usage of the strain was featured in the 2013 CNN documentary “Weed”. 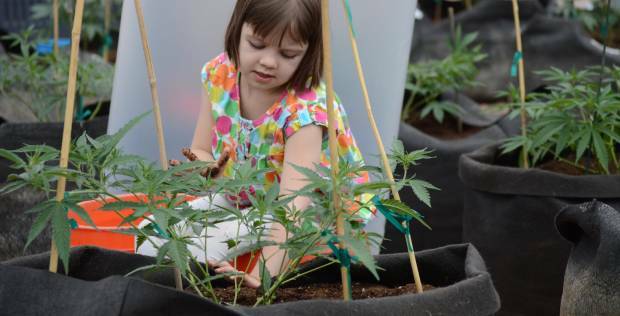 Media coverage increased demand for Realm Oil and similar products high in CBD, which has been used to treat cancer and epilepsy in toddlers and children. While high profile and anecdotal reports have sparked interest in treatment with cannabinoids, there is insufficient medical evidence to draw conclusions about their safety or efficacy. Families who say they have run out of pharmaceutical options have moved to Colorado to access the strain. The demand has spurred calls for more research to determine whether these products actually do what is claimed. While the use of medical marijuana products is allowed in many U.S. states, the nationwide legal status of Realm Oil is less clear. Read more >>Here<< Below is a Tragic story which is being repeated around the Globe due to Prohibition and ignorance... May God's grace shine upon this little girls family as they come to terms with their loss. She is safe in Heaven, with Jesus. Charlee Nelson passed away Sunday. She had a neurological disease that caused seizures. Cannabis oil could have helped. They named a bill “Charlee’s Law” after her. Charlee Nelson, who died Sunday, was one of countless children around the country awaiting passage of bills that would allow them to use CBD oil, a form of marijuana. The six-year-old resident of West Jordan, Utah suffered from a neurological condition called Batten disease that causes seizures, mental impairment, blindness and loss of body control, and eventually death. She was diagnosed with the disease last February. During that time there have many accounts of how hemp oil – low in THC, high in CBD (for cannabidiol), hence minus the high – can help children who suffer from seizure conditions, such as epilepsy. Dr. Sanjay Gupta’s two Weed programs on CNN have both focused on the search for CBD, which generally takes parents to Colorado for a steady and reliable supply of a strain known as Charlotte’s Web. Now states like Utah are moving ahead with legislation that will only allow legal use of CBD-rich products, primarily in the form of a tinctures taken orally. Just days before her death, the Utah State Senate voted unanimously in favor of the bill, joining the House in support. Gov. Herbert’s expected to sign it. 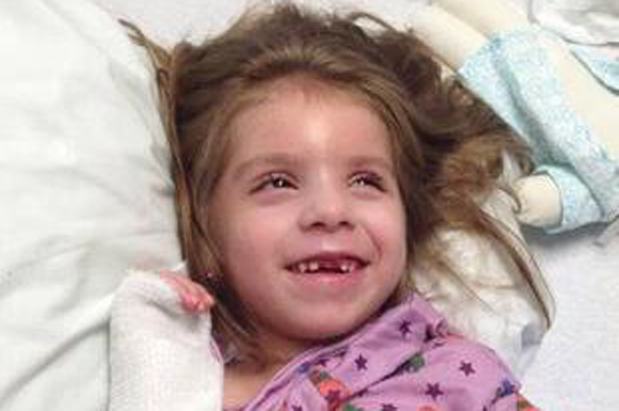 It appears that Charlee was never treated with cannabis oil, simply because it wasn’t available to her in Utah. The U.S. Federal Gov’t i.e. Congress are the Evil ones here. Seems on this issue our Gov’t was the ‘false profit’. Or for the Gov’t should it be ‘false prophit’. I am Amanda from texas usa,my son was suffering from this devilish disease called epilepsy when i heard about how cannabis oil have been curing this disease i decided giving it a trial,i saw an article on how cancer centre London provides cannabis oil so i contacted them via email londoncancercentre@gmail.com and within 5days the cannabis oil was delivered to my address and apart from that he gave me instructions on how to use the oil. My son is now free and no longer an epileptic patient.To my greatest surprise this cannabis oil works like a magic. Am William Dickerson i reside in Texas,USA, my my mother was suffering from cancer and the doctor told me that there was nothing that he could do to save my beloved Mom. Last 3 months my Uncle called and told me about Eric Oliver that can cure cancer, i told him that my Mom’s cancer was in stage 4 that i don’t think he would be able to cure it and he Convinced me to try it, for the love of my Mom, i decided to give it a try. I did some research and i found a doctor who helped me to cure my Mom’s cancer and he assured me that after 3 months the cancer would be gone. thomasjeffersonmedicalservice@hotmail.com I bought it and she used it,it worked exactly as the doctor prescribed it.Thanks to doctor Thomas Jefferson for taking away sorrow in my life. can you all imagine, that my Mom have who has just gotten a message from the so called good doctors,that she will not be healed again?. God will bless Uncle Sm and Dr. Thomas for helping me save my mom contact: thomasjeffersonmedicalservice@hotmail.com, how can i thank the merciful Lord,for he is the greatest of all…..
Holy crap, thank you very much for posting this! It is gonna aid me when I get Hemp Oil at the market! Super Terrific! contact: rickcannabisoil2014@outlook.com what can i say unto my LORD, all i have to say is THANK YOU LORD. I ran into these comments after reading the site’s piece on “objectivities”, whereas I too have been born chosen to live a life devoted to Jesus, and yes humanly evolving past the rot of sin. I choose to try to put God’s (not mine) righteousness to work, while here on this earth. allowing (thankfully) renewal, and a putting away of sin and to do so maturely through replacing – replanting my heart, mind, spirit towards God’s righteousness. It is in the faithfullness of God’s love, we can choose to come together with the myrids of others, and live towards the understanding : God is first, is to be first, and will remain as first, alas so it is allow Jesus’ words to be writen within and on ones heart. This refines and directs prunes while then meeting with its intended renewal and maturity of the putting away of sin. It truly is an experience of God’s love having Jesus in our hearts. Thank God for the Way -as we can choose to see and hear and so understand, and be refined by (belonging) to the myrids before us proclaiming ~ God is all glory! When God’s righteousness is put to work, the correct (Holy )Spirit guides.and this includes the being led correctly with respect tp our physical (thorns) and whether help or cures through cannibis (medication) can or will help. Delivery is 100% discreet and shipping is available for outta state/remote in-state areas. we also supply quality wax and Rick Simpson oil also available for the treatment of terminal cancer, diabetes, pain, eczema, depression, anxiety, and many other conditions.